LGBT events have prided themselves on freedom of expression, flamboyant colors, ideals of free love, and an inclusive sentiment that underlies the entire movement. To emphasize the inclusive nature of the movement, many groups now consider the initialism “LGBT” to be too limiting, opting instead for “LGBTQ+”, or some other variation. The intention, or so it appears, is to promote not only a safe space for many, but to always remember the fundamental principle of inclusiveness. This understanding of the movement may help to better explain the surprised responses of many when one organization, Free Pride Glasgow, recently announced that drag queens are banned from performing at their upcoming event. There may be something to consider here; however, the reasons provided by Free Pride Glasgow are, at best, ludicrous. The organization claimed that certain people might find the performance of drag queens to be “offensive,” not “appropriate,” and might make certain people “uncomfortable.” Interestingly enough, these are the exact same “reasons” offered by the all too familiar homophobic rhetoric that tries to limit the expression of gay and lesbian affection in public. Discomfort should not be a license for discrimination. There is, however, a more legitimate question to be addressed:do drag queens promote misogyny and transphobia? The first important point to remember is the art of conflation that permeates much of the dialogue and assumptions made about the LGBTQ+ community, leading to confusion and incorrect terminology. Many, whether maliciously or innocently, conflate the idea of being transgender as implying that one is also homosexual. This, of course, is not the case. A transgender person may not be heterosexual, just like a cis person, or any other person; however, a transgender person does not necessarily have to be homosexual, bisexual, pansexual, etc. After clearing up that incorrect presumption, we must address the next point of confusion regarding drag queens. Drag queens do not have to be transgender. Some may be, but they do not necessarily have to be. A drag queen is commonly defined as, “a person, usually male, who dresses in drag and often acts with exaggerated femininity and in feminine gender roles.” While we’re on the topic, why not address the concerns of transphobia and misogyny, more valid issues than those presented by Free Pride Glasgow. Many drag queens do “perform” and “entertain” thereby calling the authenticity of the individuals into question. This is incredibly problematic to many transgender individuals, as they are far more often called into question for their “genuine gender” than their cis counterparts in society. As such, the aggravation caused by this sort of ignorance to transgender individuals is completely understandable. However, if one is capable of understanding the importance of not conflating transgender individuals with drag queens, by acknowledging that they can but do not necessarily have to overlap, one can escape the transphobic worries that surround drag queen performances. The next assertion focused on the qualm of drag queens embodying femininity and exploiting it to obnoxiously exaggerated proportions. This leads to the idea that drag queens may further the already pervasive forms of misogyny that pollute society. 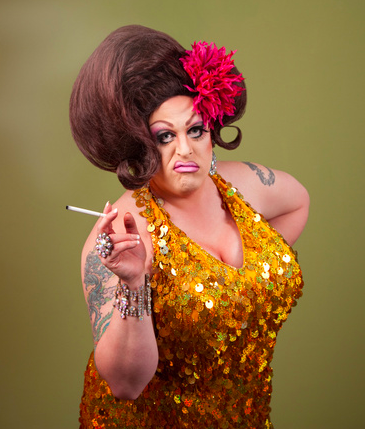 However, it is also entirely possible that drag queen performances do not encourage or purport misogyny, but instead actually serve to reveal misogynistic tendencies that already exist within the audience by playing on the anxiety underlying the idea of (usually) men acting in overtly feminine mannerisms. Instead of finding these representations of womanhood and femininity to be insulting, why is it not instead possible to see these performances as a celebration of aspects of one’s femininity that are otherwise concealed in our cis-promoting world. LGBTQ+ organizations ought to represent a safe space for identification and expression of oneself, under the idea that everyone has the right to exist as they are without feeling threatened because of how they appear or choose to live their lives. Drag queens, if anything, serve a very important role in the overall movement. They represent gender fluidity, partaking in violating gendered and cultural expectations, playing on these societal norms and disrupting the cis-conforming world with a flair and pizzazz that can only be found in drag queens.